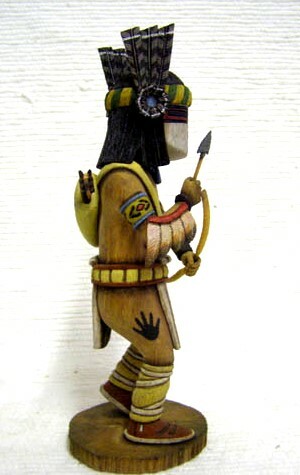 The Apache Katsina (Yoche) is one of the comic or caricature Katsinam. 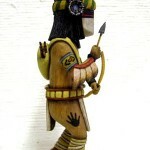 He appears in a group with the clowns and his actions are usually what you would expect of Apaches on the warpath. 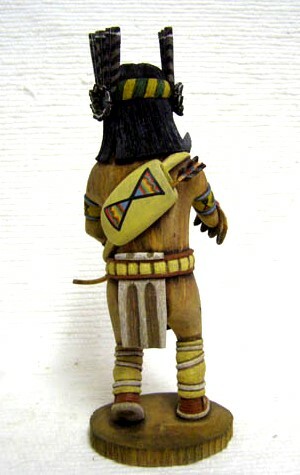 Their dress is not consistent as long as he has the appearance of an Apache. 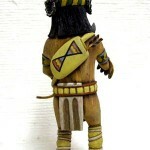 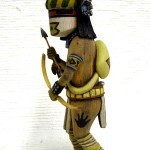 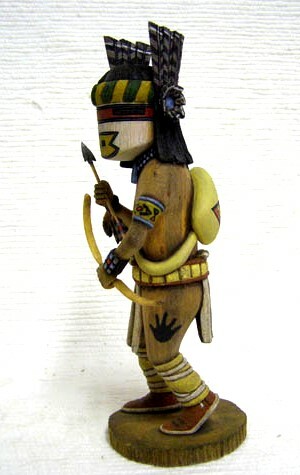 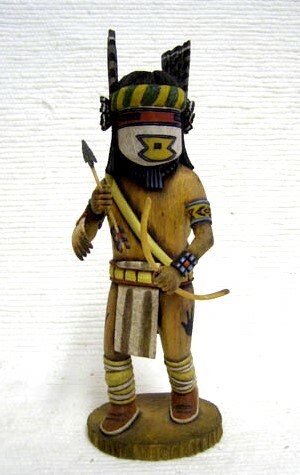 This Apache stands 9″ tall & includes a Certificate of Authenticity.